Since the release of their latest single Black Mamba, the buzz around Melbourne’s Alpha Wolf has continued to grow at an exponential rate. 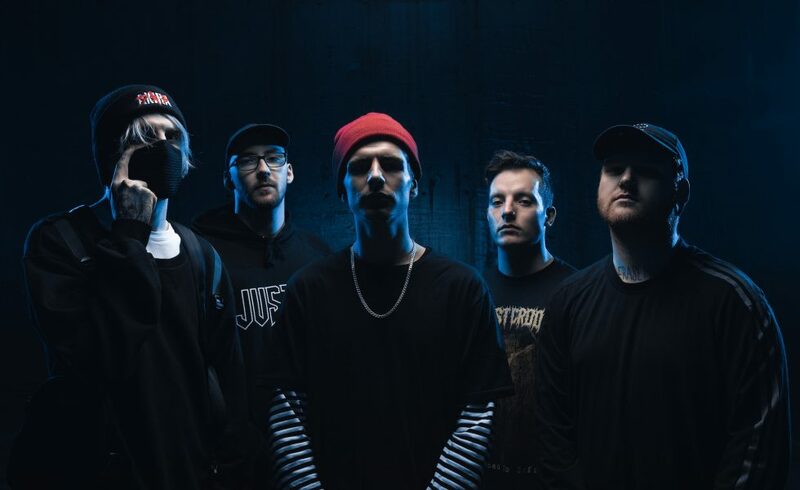 From touring the country with Thy Art Is Murder, to most recently being announced as part of the line up for Impericon Festival Oberhausen, as well as being represented by Avocado Bookings in the UK & Europe, the band is showing no signs of slowing, today they back up that buzz with the release of their most relentless single yet, No Name. “Lyrically, No Name is about losing yourself to the point you become unrecognisable to both yourself and to others.” discloses guitarist Sabian Lynch, “Where all of your emotions are nullified and you feel painfully outcast; finding yourself in a deep dark hole and believing that shutting out everything and everyone around you is your only option.” The resentful lyrics accompany what the band believe to be some of their heaviest riffs and breakdowns yet, further defining a sound unique to Alpha Wolf. In 2018, Alpha Wolf have shown Australia exactly why they have earned their place on Australian stages; in 2019, Alpha Wolf will show the world.